Successfully Added K1 Android TV Box - Android 5.1, 4K, Amlogic S905 Quad Core CPU, HDMI 2.0, H.265 Decoding to your Shopping Cart. With the K1 Android TV Box, your home entertainment will get a great upgrade, and by great we mean amazing. The TV box comes with 4K decoding, the Amlogic S905 Quad Core CPU runs at 2GHz and Mali 450 GPU as well as 1GB or RAM round off a all star lineup of specs – all the right components for an amazing viewing experience and gameplay, and whats more it plays in 4K so its totatly future proof and ready for that 4K TV you wanted. Android 5.1 is a great interface to have on your TV, as you get quick and easy navigation, cool widgets and access to the Play Store for more fun and games. The 4K TV box comes with H.265 decoding – meaning it can efficiently store your content without it taking up too much space or sacrificing quality. Speaking of storage, you will have 8GB of internal memory + 32GB on an SD card. The Android 5.1 TV box comes with Kodi 15.2 pre-installed - and that brings along unlimited access to loads of free content from Kodi repositories. The compact TV comes with DNLA, Miracast and Airplay support, box won’t bulk up your space – yet bring with it lots and lots of fun! 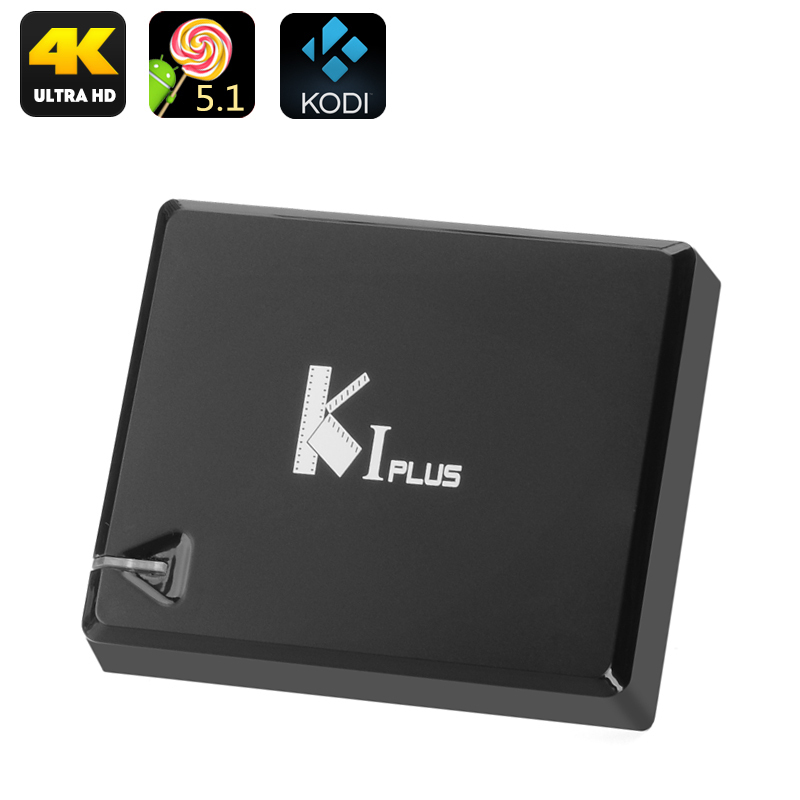 The K1 Android TV Box comes with a 12 months warranty, brought to you by the leader in electronic devices as well as wholesale Android TV boxes.